And We Have To Feed All These People, Too? Dinner time is a busy time in any family home. It’s a time to come together after the day to reconnect and share the adventures and challenges from the hours gone by. I know far too well the various dilemmas that real moms face to get dinner on the table every. single. night. Plus for seasons when your family is involved in sports, extra lessons, and outside ministry commitments, those peaceful moments at the family dinner table can be few and far between some weeks. That’s why I wanted to share from my years of experience feeding my growing family of nine. 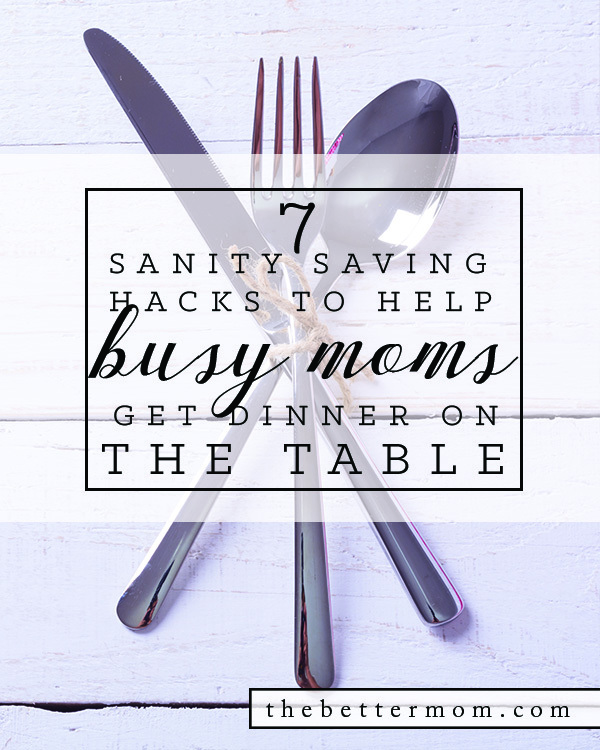 Today I’m sharing these 7 Sanity Saving Hacks for Busy Moms to Get Dinner on the Table on The Better Mom. I hope they will be helpful for you! Jamerrill, how many freezers and refrigerators do you have and how to you organize everything? Not just with the freezer cooking, but when do your large monthly shopping trip and when you make your extra large dishes like for the weekend. I’d LOVE to do a huge monthly trip and cook extra for another meal, but it seems even just a trip to cover 2 weeks overwhelms my space. Could you share some of your organizing methods? 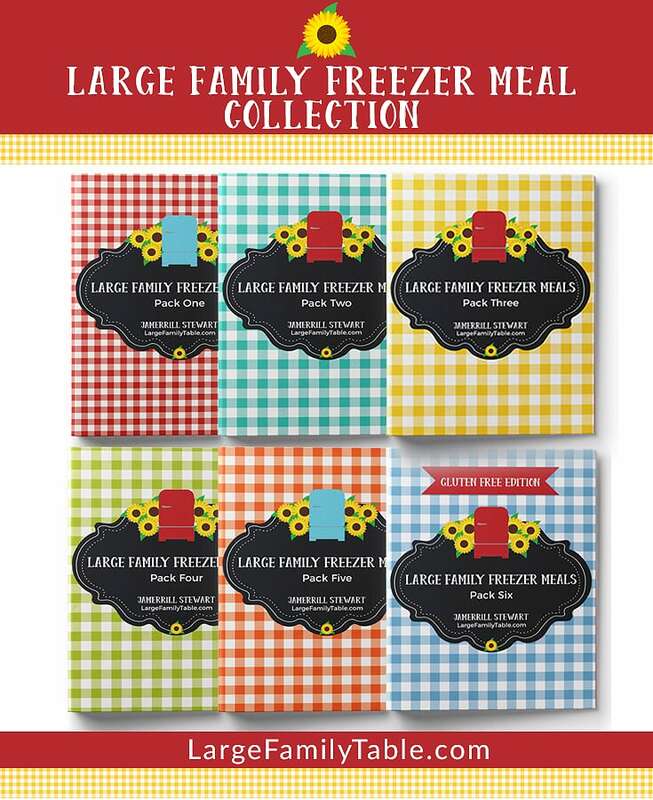 Not just for the fridge/freezers, but your pantry and/or storage methods? Thanks, and I really appreciate your grace filled posts and videos. I am older with older children, but I have really been encouraged by your posts. I really need to do a video and post just on this. I hope to when I do my big haul in August. I’m a few weeks out from this shopping trip. I actually just did my 2nd small fill-in-the-gaps haul as well. When I filmed that I also shared a tour of my pantry and refrigerators. It should publish later next week.